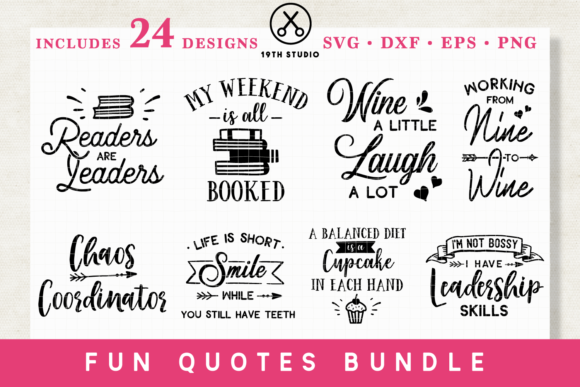 This crafting bundle offers 24 fun designs for your next project. 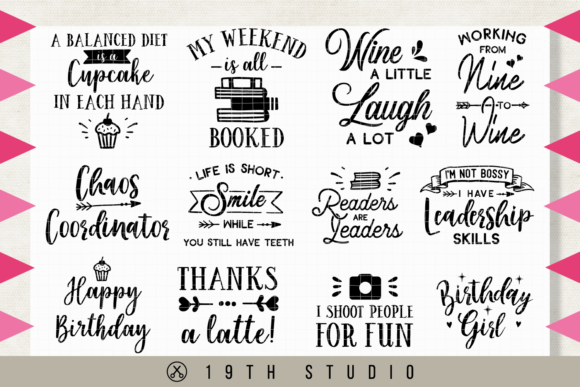 With graphics made for anyone from book lovers to crafters, you are sure to find a design that will make you laugh. 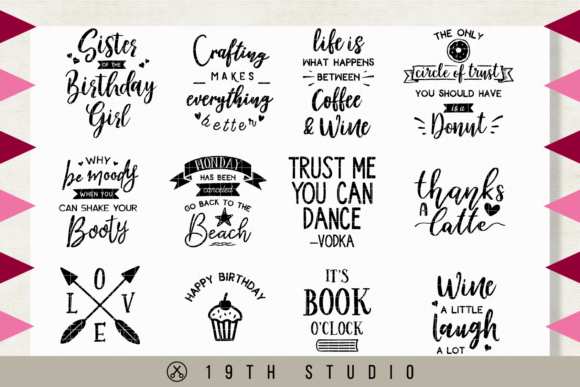 You will get these designs in SVG, DXF, EPS, PNG format (saved individually).